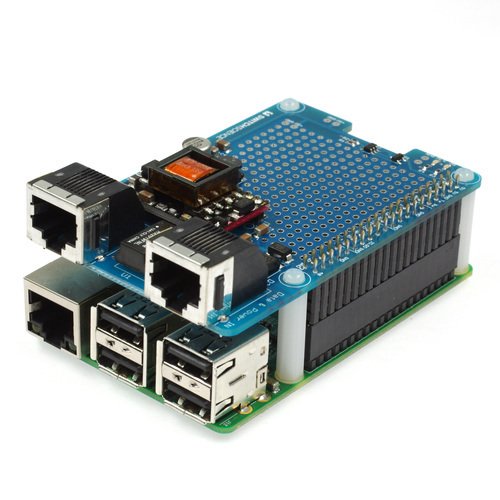 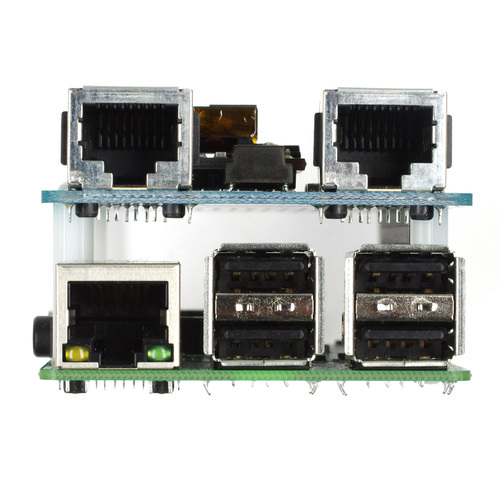 This 5 V PoE adapter board powers your Raspberry Pi Model B+ over Ethernet (output voltage: 5 V). 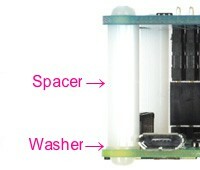 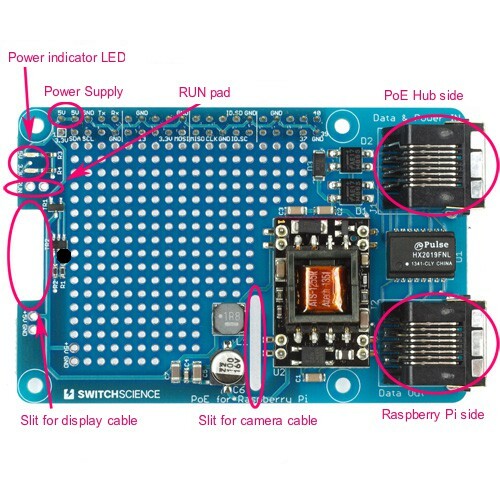 As the GPIO can supply 5 V, you don't need USB cable for powering. 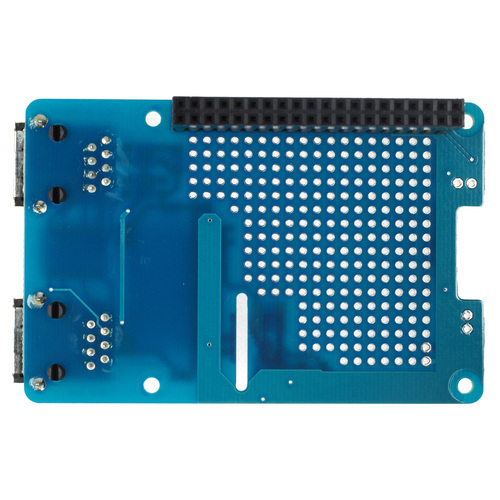 Having through-holes right above the RUN pads of Raspberry Pi board, you can use signals from RUN terminal. 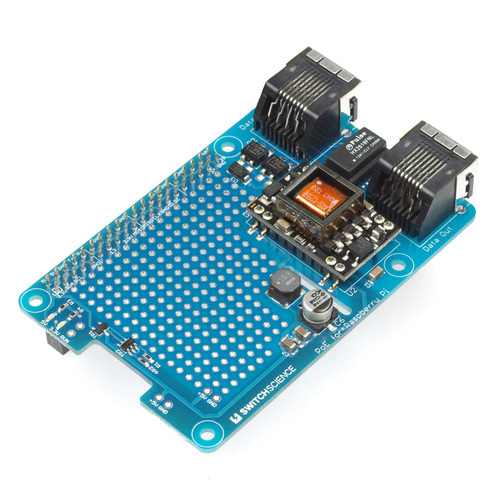 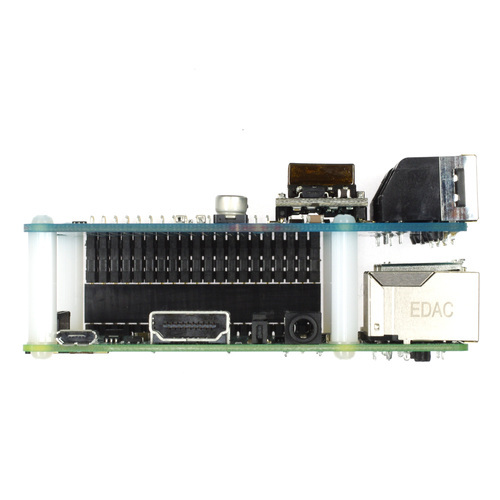 This board is exclusively for Raspberry Pi model B+ and not for the model A and B. LAN cable to connect this board with Raspberry Pi is not included.